Deadline reports that Arnold Schwarzenegger and Bruce Willis are signed on to take much bigger parts in The Expendables 2. The two action stars appeared briefly in the first film*, but this time they’re not just making glorified cameos. They’re here to play actual parts, with actual lines and motivations and stuff. Oh, and to punch things. Lots and lots of things. This will be Schwarzenegger’s first major film role since he stepped down as governor of California and the nasty divorce proceedings began. Willis will squeak this in before running off to Russia to shoot Die Hard 5. The production begins this October, with Simon West taking the directorial reigns from Sylvester Stallone, but Stallone still intends to star. There’s still some buzz about Chuck Norris and Jean Claude Van-Damme getting in on the fun, and if they do, we’ll let you folks know. *or so I hear, I honestly haven’t seen it. I have no excuse save for disinterest. 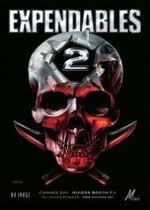 Comments for Arnold and Bruce Have “Substantial Roles” In “Expendables 2” are now closed.